Neema with Elton John and Cyndi Lauper! NEeMA has completed her European Tour, which included support slots with Jeff Beck, Joe Cocker, Cyndi Lauper and Elton John, in addition to headlining shows! 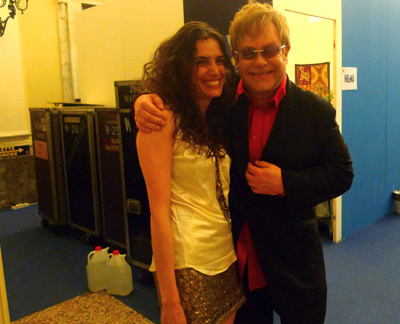 Check out these photos of NEeMA with Sir Elton John and Cyndi Lauper!